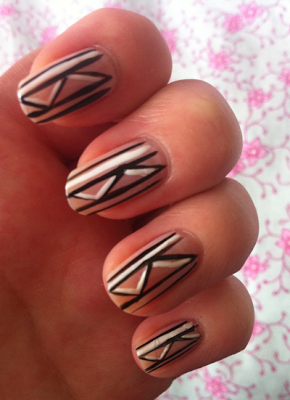 GlitterPolish: New York Fashion Week inspired Nail art! I was searching for some inspiration for my nails, when I discovered the runway photos from NYFW! I found some that I especially loved (here) and decided to get working, here's what I came up with! 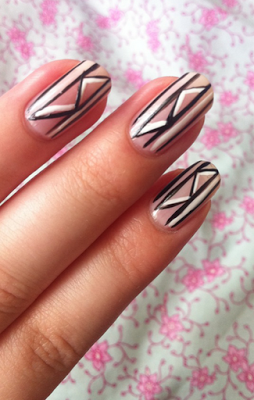 I used Barielle 'Queen for the day' and my nail art polishes in black and white!